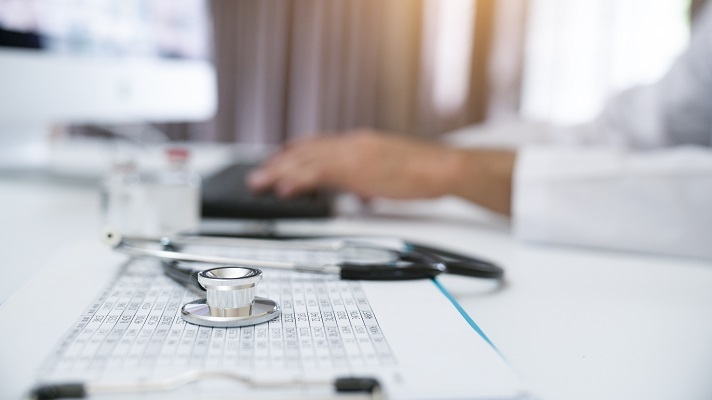 Connected care, upskilled workers, tax reform, a Southwest Airlines approach, private equity and the Affordable Care Act all will impact healthcare organizations in 2019, a new PwC report says. The U.S. healthcare industry is looking less like a special case, a large segment of the U.S. economy with its own unique quirks, and is beginning to behave like other industries, according to "Top health industry issues of 2019: The New Health Economy comes of age," the 13th annual healthcare report from consulting giant PwC. So for PwC Health Research Institute's latest report, rather than focusing on issues only U.S. health organizations face, it for the first time is examining how healthcare is adapting to factors common to all industries: deals, business and tax strategy, risk and regulatory issues, workforce trends and digital transformation. The details may be specific to healthcare, but the business issues are shared with many other parts of the economy. In 2019, new entrants and biopharmaceutical and medical device companies will bring to market new digital therapies and connected health services that can help patients make behavioral changes, give providers real-time therapeutic insights, and give insurers and employers new tools to more effectively manage beneficiaries' health, the PwC report said. "The arrival of digital therapeutics – an emerging health discipline that uses technology to augment or even replace active drugs in disease treatment – is reshaping the landscape for new medicines, product reimbursement and regulatory oversight," PwC said. "This means that new data sharing processes and payment models will be established to integrate these products into the broader treatment arsenal and regulatory structure for drug and device approvals." As digital therapeutics and connected devices have transitioned from concept to reality, investors have poured $12.5 billion into digital health ventures in 2017 and 2018, PwC reported. Compared with 2013, this level of investment represents an increase in funding of 230 percent, while the average funding deal size grew 67 percent over the same period, the report said. "Unlike branded companion apps and online portals, digital therapeutics and connected devices are clinically validated by the FDA and target specific health outcomes," PwC said. "The FDA already has approved some new digital therapies, such as Boston-based Pear Therapeutics' Reset mobile application for the treatment of substance abuse, and Stockholm, Sweden-based Natural Cycles' birth control app." Many other connected devices designed to treat diabetes, central nervous system disorders and other conditions – in concert with an active drug, or not – are expected to enter the market in 2019, the report said. PwC identifies three implications as digital therapeutics and connected care reshape the life sciences industry. First, life sciences organizations should focus on outcomes, not just end-points. "To succeed in the digital therapeutics era, pharmaceutical and life sciences companies must venture more deeply into care delivery," PwC said. "Organizations that can become an integral part of giving patients positive health outcomes – using real-world data and enhancing the connection between patients and providers – also will be able to design new payment and contracting models." Second, life sciences organizations should evaluate the impact of digital therapeutics and connected care solutions on providers' practices. "New health data streams coming in from patients' devices and mobile phones may disrupt provider practices even as they help improve care delivery," PwC said. "Evaluate workflow processes for new data streams, including integration in electronic medical health records." Successfully integrating new patient data into physician practices may improve in-person visits, making health discussions more efficient and informed by real-world patient behaviors, the report added. And third, life sciences organizations should explore partnership models focused on demonstrating results. For instance, Innovation Health, an insurance provider created jointly by Virginia-based Inova Health System and Aetna, is testing digital therapeutics and financial models to better understand these new products' effectiveness. "Digital therapeutics and connected devices may make it easier to construct value-based contracts and other outcomes-based financial models with payers and providers to drive adoption," PwC stated. "Subscription pricing for digital therapeutics or connected device solutions, for example, could make pharmacy spending more predictable and efficient." In 2019, healthcare companies new and old will identify which employees – from the back office to the front lines and all the way up to the C-suite – have to be upskilled or reskilled to get the most out of new and impending investments in technologies such as artificial intelligence and robotic process automation, the report predicted. "These technologies will be critical in helping companies continue their shift into providing care anywhere through telehealth," PwC said. "They also will help reduce transactional tasks for the 63 percent of U.S. healthcare workers who say the work they do requires a great deal of manual entry or analysis, allowing them to enhance their analytical IQ." Healthcare companies are trying to figure out how to accomplish this training, and every company is affected, the report said. Out of provider executives the PwC Health Research Institute surveyed on the subject, 45 percent say their workforce's capabilities are a significant barrier to organizational change. Fifty-five percent of payer executives say it's very important for new hires to be skilled in informatics and data analytics, second only to customer service. Six in 10 pharmaceutical executives surveyed by Health Research Institute said their workforce has the skills needed for an evolving digital economy. Companies could choose to hire external talent, but that strategy presents significant challenges: Thirty-five percent of the skills workers will need will change by 2020, and the required skills will continue to evolve, according to the World Economic Forum. For example, 20 percent of workers are expected to rely on artificial intelligence to do their jobs by 2022, according to Gartner. AI and process automation are expected to eliminate 1.8 million jobs while creating 2.3 million new ones reliant on a more skilled workforce, PwC reported. Forty-two percent of US workers surveyed by PwC said they agreed or strongly agreed that automation would put jobs at risk of elimination. This first wave of automation in healthcare has affected finance functions the most. While upskilling an employee may take time, companies that invest in making employees digitally fit should be ready for the technological challenges of tomorrow and beyond, the report advised. "These investments could create two types of competitive advantages: A better skilled workforce, and a workforce that is less likely to leave," PwC predicted. "A recent Health Research Institute survey found that healthcare workers are more likely than those working in other industries to think training on new technologies would help them do their jobs more effectively. They also were more likely to say they would stick with an employer if the training was offered." PwC identified three implications of the need for new, upskilled healthcare workers. First, healthcare organizations should modernize the HR strategy. "Before rolling out any technology training program, healthcare organizations should develop incentives and performance metrics for employees who align with the digitally fit culture they seek to develop," PwC said. "They also should revisit their recruitment and retention strategies to compete for a gig workforce that is attracted to a virtual work environment." Second, healthcare organizations should consider how best to train their employees. "Organizations looking for better ways to train their employees in technology use can embrace digital tools to engage and educate them," PwC said. "Many companies lack in-house training capabilities – either expertise in training or the learning management system required to train a national workforce – and will have to partner with external organizations to deliver advanced training." Some healthcare organizations – in particular academic medical centers – already are aligned with educational institutions and may be able to advance more quickly, PwC added. And third, healthcare organizations should consider which employees should get top priority. "Healthcare organizations already have experience training their employees on technological systems, including one notable example: electronic health records," PwC said. "As they did then, organizations won't have to train every employee immediately and they won't have to train each employee at the same level." Consider the organization's immediate needs and which employees might benefit most, such as leadership and key staff who can spread knowledge to others, the report advised. Some employees, such as a hospital system's IT team, will soon need strong abilities in a given subject area, such as developing a technology, the report said. "Others, such as nurses or social workers, may need fewer capabilities in using that technology once it's deployed," PwC said. "Fifty-one percent of employees whom Health Research Institute surveyed said they felt that training in AI, robotic process automation and analytics would help them do their jobs better. These skills should be developed in tandem with strategic goals to ensure a company is ready to act on its strategy." The healthcare industry will begin to feel substantial effects of the 2017 Tax Cuts and Jobs Act in 2019, the report predicted. The law will create both new possibilities for organizations looking to turn their tax savings into competitive advantages and novel challenges for organizations facing new taxes, the report said. At the same time, emerging trade pressures may create uncertainties for organizations hoping to maintain the status quo, it added. "Portions of the healthcare industry are responding to tax reform's known effects in different ways. For-profit companies generally are benefiting from tax reform because of lower tax rates on earnings, reduced from 35 percent to 21 percent beginning in 2018, and the ability to repatriate foreign cash at a favorable rate, 15.5 percent for cash holdings as of Dec. 31, 2017, and zero U.S. federal income tax for new foreign earnings starting in 2018," PwC explained. Many payers and providers don't have foreign operations, so they won't benefit from the repatriation provision, or they may not have positive taxable income to realize these benefits, the report said. In addition, other provisions of the law could negatively affect payers, providers and life sciences companies, the report said. "For example, the global intangible low-taxed income (GILTI) provisions require a U.S. shareholder to pay a minimum aggregate U.S. and foreign tax on its share of the earnings of its controlled foreign corporations," PwC said. "And the base erosion and anti-abuse tax (BEAT) provisions impose an additional corporate tax liability on domestic and foreign companies operating in the United States that make certain deductible payments to foreign-related parties." In 2019, healthcare organizations may find it necessary to restructure their businesses to accommodate new rules on unrelated business taxable income (UBTI); assess how taxes and refunds could affect their Medical Loss Ratios; determine how best to invest cash previously held outside the US; and restructure their supply chains to accommodate a new territorial tax system and emerging trade uncertainties, among other actions, the report advised. 2019 also will mark the first calendar year in which most organizations file a tax return reflecting a complete fiscal year under the new tax law. PwC identified three major implications of the significant tax changes. First, healthcare organizations must be prepared to act. "For both tax reform and trade-related issues, many organizations now are in a holding pattern, awaiting guidance and action by government regulators before responding," PwC said. "On trade, while some actions will have recently gone into effect, others – such as trade tensions with China – are ongoing. This gives companies time to fully understand and analyze their business, partners and supply chains." Organizations should consider a range of options, including business unit reorganizations, and be ready to act quickly to realize potential gains from changes to the tax code or trade environment, the report advised. Prepared companies can rapidly realize advantages over their competitors by taking such actions as reorganizing business units to reduce tax liabilities, the report added. Second, healthcare organizations should use tax savings to position for success. "Some healthcare organizations will have access to a substantial amount of capital to help them gain a competitive advantage," PwC noted. "Before tax reform enactment, healthcare companies in the S&P 500 held an estimated $186 billion in cash overseas at the end of 2016, according to a Credit Suisse analysis, and they may now begin repatriating those funds at favorable rates." Organizations can spend their tax savings in different ways, including reinvestment, acquisitions and stock buybacks, the report said. How they spend that money will affect the public's perception of them, according to respondents to a Health Research Institute survey. Sixty to 72 percent of respondents would have a positive opinion of a life sciences company, health insurer or hospital that used its tax savings to hire more staff, while 38 to 39 percent would have a negative opinion if the same company were to repurchase shares of its stock from investors. And third, healthcare organizations should figure out what operational changes the new tax law will require. "Organizations must come to terms with a simple fact: The old way of doing business may no longer be the most effective or efficient way under the new code," PwC stated. The changes may require new supply chains, business unit reorganizations, benefit redesigns for executives and staff, investments in technology and staff training, the report noted. Operational agility will permit companies to act quickly when necessary, but that will require planning and creativity, the report said. PwC says that despite the U.S. healthcare industry's high costs and mammoth size, it is lacking a "value line" of products or services, its own version of a Southwest Airlines that eases the cost of travel, a Costco Wholesale that sells its products and services at a known markup, or an Uber that transports people with a click of a button. "These companies offer premier customer experiences at low, transparent costs, balancing in-person and virtual interactions with employees who are laser-focused on the consumer," PwC said. "In 2019, a healthcare industry increasingly pressured to do more with less will take lessons from emerging companies that have figured out how to deliver value to the uninsured and underinsured – traditionally deemed unprofitable – and turn a profit." A lower-cost value line is an important growth strategy in a healthcare ecosystem in which average deductibles have tripled over the last decade and are now almost $1,300 for an individual with employer-based insurance, making healthcare costs a difficult financial decision even for the insured, the report said. Fifty-two percent of consumers with a high-deductible health plan say it would be hard to afford the deductible, the report said. Also, nearly 30 million Americans remain uninsured, and Medicaid covers more than 60 million people, the report added. "In response to these pressures, some companies are starting to build new, lower-cost delivery models to capture this market, bucking the trend by reducing fixed costs, rethinking which clinicians deliver care and addressing the social determinants of health," PwC said. PwC identified three implications of this need for a Southwest Airlines style of thinking. First, healthcare organizations should recognize their consumer segments that need value. Consumers with high-deductible health plans, Medicaid consumers and those without insurance all have varying needs for value lines, the report said. "They also have varying health needs and preferences that should be considered when creating these value lines," PwC stated. "Providers that understand the consumer segments they want to serve can design an operating model for the future – perhaps as 'integrators' serving a payer mix and consumer base that are both diverse, or as 'health managers' targeting the frail elderly, complex chronic, chronic and mental health consumer segments." Second, healthcare organizations should consider partnerships to deliver lower-cost, high-quality care. Scottsdale, Ariz.-based Redirect Health is working with employers nationwide to make it easy and affordable to provide healthcare to even low-wage employees, the report noted. "For example, the organization offers employees unlimited primary care visits paid for by their employer," PwC said. "Redirect Health is in talks with hospitals about collaborating to reduce unnecessary and expensive utilization by uninsured and Medicaid patients. Such partnerships would let Redirect Health manage those patients' ongoing care and avoid unnecessary, pricey emergency room visits that often go unpaid or under-reimbursed, so that hospitals can concentrate on where they are needed most." And third, organizations should go beyond the prescription coupon. "Pharma has yet to fully embrace the idea of value lines other than generic drugs and patient financial assistance programs," PwC noted. "It could build on existing patient support programs to tackle social and lifestyle barriers to patient adherence." Pharma also could do more with outcomes-based payments, with which the price paid for a drug is linked to its economic or clinical performance, the report advised. These companies also could develop value lines in the direct-to-consumer market with digital therapeutics such as Natural Cycles, a contraception app approved by the FDA in August 2018, the report said. The app costs $80 a year and doesn't require a doctor visit or prescription. For years, private equity firms have invested in healthcare, but now the pace is quickening as they step up their presence in a highly fragmented healthcare industry, seizing on consolidation opportunities to build a better business model, the report said. "Private equity's acquisitions and investments in the health sector have become increasingly diversified and frequent; they include such things as new entrants in technology and convenient care delivery, contract research organizations, and ophthalmology and dermatology practices," PwC noted. "PwC Health Research Institute expects this trend to accelerate in 2019, giving traditional healthcare companies opportunities to sell all or portions of noncore assets and double down on their core competencies, or partner with private equity in acquisitions in which they would otherwise be competing against each other or unable to act on their own." A private equity sector bursting with cash and searching for deals means more of that money has flowed into the healthcare system over the past decade, the report noted. In 2009, private equity firms completed more than 200 healthcare deals, and by 2016 this had tripled to more than 600 deals, the report said. "The healthcare industry saw a high level of deals in general in 2017 and 2018, involving both private equity and corporate buyers," PwC found. "As those deals are completed, many may be looking to sell noncore business units, prime targets for private equity firms looking for a proven business model and solid cash flow." Private equity's purchases of healthcare divestitures are expected to continue in 2019 as the sector looks to invest the cash it has raised, a reported $624 billion ready for investment across industries as of July 2018, the report stated. PwC identified three implications surrounding the issue of private equity. First, healthcare organizations should recognize that the market is ripe for divestitures. Healthcare organizations should consider selling noncore business units to private equity firms that have money to invest and may be more apt than a corporate buyer to purchase a single business unit, the report advised. As megadeals complete, newly consolidated entities should consider shedding noncore assets, with private equity as a potential buyer, the report said. Second, healthcare organizations can partner with private equity to unlock possibilities for growth and scale. "Organizations across the industry should consider where they might partner with private equity firms when pursuing growth or expansion efforts, as the private equity sector may provide strategic advantages beyond key additional financing," PwC said. And third, healthcare organizations must understand that private equity is accelerating change in the industry and eyeing disruptors. "Private equity investment in healthcare isn't going to single-handedly improve care quality, enhance the patient experience or reduce healthcare costs to consumers," PwC stated. "But it likely is fueling the efforts already in place." Private equity firms bring capital and experience from other industries that can contribute to the healthcare industry's efforts to rein in costs and achieve better outcomes, the report said. Two years into the Trump administration, the Affordable Care Act remains law, but Republican lawmakers and the administration have reshaped parts of it through legislative, regulatory, budgetary and legal actions, the report noted. In 2019, these actions will create new winners and losers. "Healthy individuals and small businesses seeking cheaper premiums will benefit in 2019, as will payers selling short-term, limited duration insurance and supporting association health plans," PwC said. "New entrants specializing in underinsured and uninsured consumers may find new markets thanks to Republican actions to expand access to these plans." Financial services companies, makers of non-retail medical devices and employers offering high-cost insurance plans all will enjoy modest gains, too, the report added. "On the losing end of these policies and decisions are middle-class consumers seeking comprehensive coverage on the ACA exchanges, and providers and payers dependent on patients covered by Medicaid or ACA plans living in conservative-leaning states that are more skeptical of the law," PwC said. "Some ACA revenue-raising provisions have been delayed or eliminated, exacerbating their situation." The administration's efforts to chip away at the ACA can be seen around the law's edges through softening individual and employer mandates, expanding access to health insurance plans that don't conform to ACA rules, reducing operational and financial support for individual exchanges, dialing back on Medicaid spending and expanding the use of health savings accounts, the report said. "President Donald Trump, his administration and the Republican party campaigned in 2016 on repealing and replacing the ACA but failed to do it in a single piece of legislation in 2017," PwC noted. "'Repeal and replace' as a political rallying cry fell away in this fall's midterm elections, but in 2019, reshaping the law will remain a goal for the president, his administration and Republican lawmakers." PwC identified three implications of the still active Affordable Care Act. First, care delivery must move beyond the office and to a broader team. "Anticipating less robust coverage on individual and non-group markets due to the greater availability of insurance plans that don't conform to ACA regulations, providers and payers should develop plans for triaging patients and members to lower-cost care options, including telehealth or in-home nurse visits," PwC said. "Providers also should pair patients with the most appropriate clinician to address patients' immediate health issues. This could mean scheduling them with a nurse, dietitian, mental health specialist or social worker instead of a higher cost physician." The Health Research Institute found that a well-designed primary care team could result in savings of $1.2 million per 10,000 patients served annually, the report said. Second, attention to drug prices will increase despite a slowdown in rule-making for manufacturers. "An ACA provision that would implement monetary penalties on manufacturers that knowingly charge more than the ceiling price for a covered outpatient drug under the 340B purchasing program is scheduled to go into effect July 1," PwC said. "The Trump administration had previously delayed the provision. Lawmakers in 2019 will be increasingly interested in how 340B entities are using the benefit and whether or not savings generated by the program are making it to consumers or padding companies' pockets." Government scrutiny of drug prices is expected to continue, the report predicted. Seventy-three percent of Americans surveyed by Health Research Institute said they want the government to do more to control the cost of prescription drugs. And third, insurance regulations are falling to states, creating a patchwork. "States will be taking more direct action to secure their insurance markets in 2019, even as the methods for doing so become more variate, creating challenges for regulatory compliance," PwC said. "In all states, payers will be able to sell more products in the individual and group markets, but regulations of those products will differ. States that don't ban new products outright could still place greater restrictions on their use than federal regulations allow for." At the same time, states will seek ways to stabilize marketplaces through federal assistance, particularly through reinsurance programs designed to reimburse payers with high-cost beneficiaries and slow individual plans' premium increases, the report said. "When making decisions in 2019, payers seeking to get the most out of new opportunities should avoid thinking of states as red or blue when they approach marketplaces and should instead closely follow state regulatory decisions," PwC said.